Calgary, Alberta --- January 30, 2019 --- Nureva Inc., an award-winning collaboration-solutions company, announces the addition of Active Zone Control to the Microphone Mist technology platform that powers its HDL300 and Dual HDL300 audio conferencing systems. This feature gives users a new level of control over the thousands of virtual microphones that fill a space and provide full-room audio coverage. Using a simple, visual interface in Nureva Room Manager software, IT staff can designate a zone within the room to be optimized for audio pickup. The system reduces the pickup outside the active zone by disabling the virtual microphones in that part of the space. 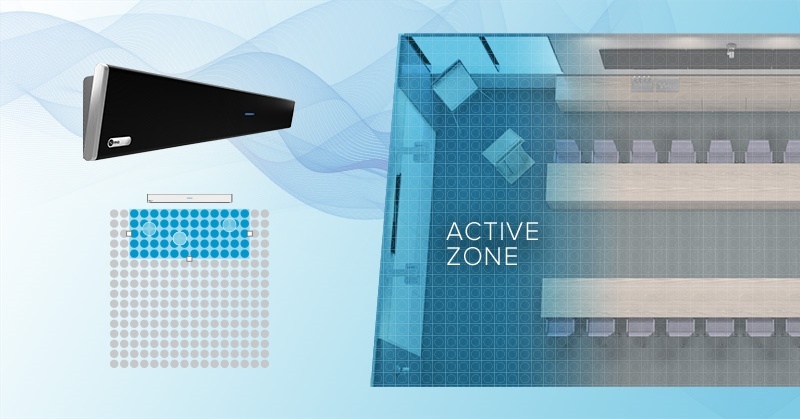 Unlike technologies that attempt to create pickup zones by turning physical microphones or beams on and off, Active Zone Control leverages the unique nature of virtual microphones to provide user control over the size and dimensions of the pickup zone. 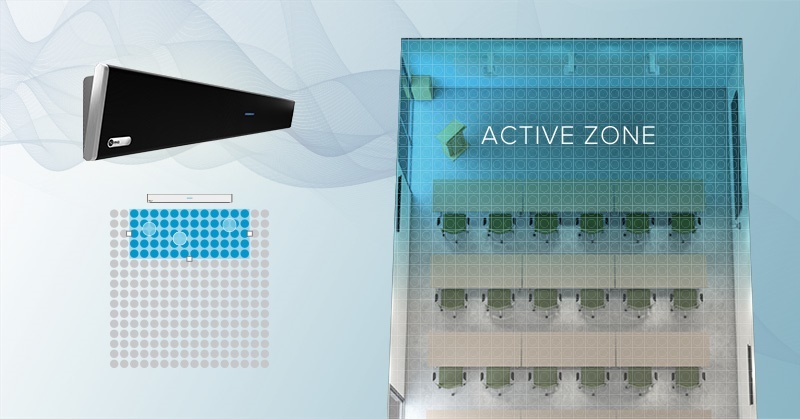 Active Zone Control is ideal for any scenario in large spaces where it’s important for audio pickup to be focused on a specific area of a room, such as lecture capture or presentations where audio is being recorded or listened to by remote participants. Presenters can speak and move freely within the active zone without the need for a lapel mic or complex ceiling-mounted solution. The feature can also be used to designate an audio pickup area in an open office environment where teams huddle for meetings involving remote participants. For situations where a user wants to capture voices outside the zone, Active Zone Control can be easily turned off using a single button on the HDL300 system remote control. Visitors to ISE 2019 in Amsterdam, February 5–8 can learn more about Active Zone Control on Nureva’s stand 11-B180. Nureva will also demonstrate Active Zone Control at Enterprise Connect in Orlando, Florida, from March 18–20 at booth 1732. Download images of Active Zone Control. The HDL300 audio conferencing system resolves the frustrating and persistent issue of poor audio pickup, especially in dynamic environments where participants move around the room. At the core of the HDL300 system is Nureva’s breakthrough Microphone Mist technology, which places thousands of virtual microphones throughout a space to pick up sound from any location to ensure that everyone is clearly heard regardless of where they are in the room or the direction they are facing. Users also have the option to limit the audio pickup to a specific zone within a space, such as the front of the room, making it ideal for corporate presentation scenarios and lecture capture in higher education. The system uses sophisticated algorithms to simultaneously process sound from all virtual microphones to provide remote participants with a high-quality listening experience, enabled by continuous autocalibration, simultaneous echo cancellation, position-based automatic gain control and sound masking. When combined with the Nureva™ Wall visual collaboration solution or other interactive display, the HDL300 system can also be used as the primary source for audio and video playback. The HDL300 system is designed to work with Microsoft® Teams, Skype® for Business, Zoom, BlueJeans, Cisco® Spark, Cisco WebEx®, GoToMeeting™, Pexip® Infinity Connect and other common UC&C applications. For more information, visit the HDL300 section on the Nureva website.